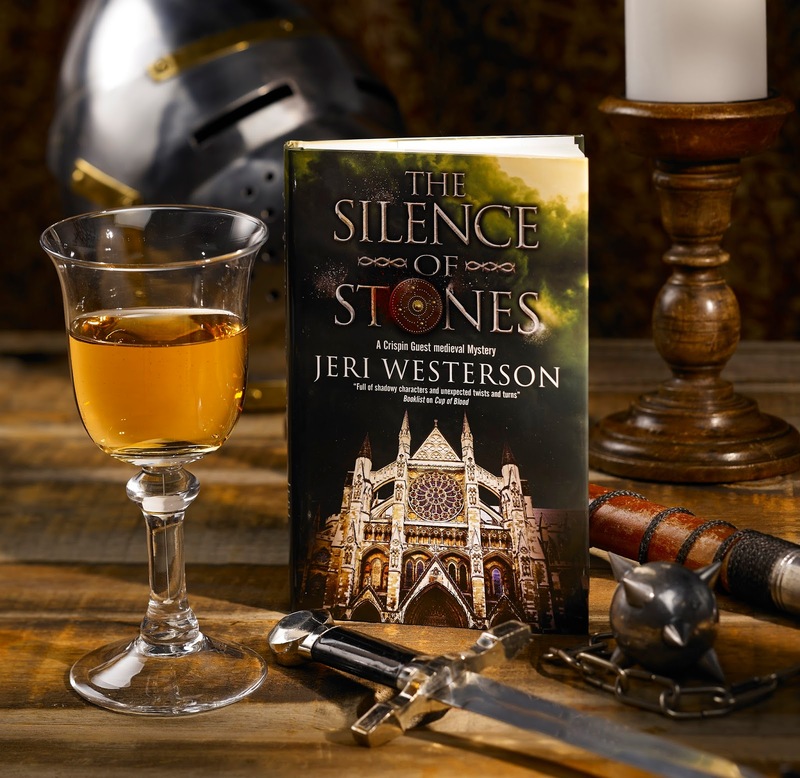 The Silence of Stones is the eighth Crispin Guest Medieval Noir. London, 1388. Crispin Guest is known as the “Tracker.” He earned this title from the citizens of London for finding lost objects and for bringing criminals to the king’s justice. It took him years to grudgingly accept his new place in the world as he used to be called baron and knight. When he lost his wealth and standing twelve years earlier in an act of treason against King Richard II, he had to fend for himself on the streets of London as an exile from court and all that he had known. So when the Stone of Destiny or the Stone of Scone is stolen—that which sat beneath the coronation chair—it is King Richard who is now worried about his status. For two years he had been under the yoke of the so-called Lords Appellant headed by his cousin Henry Bolingbroke, holding a virtual knife to the king’s throat to force him to arrest his favorites, to keep him from treating the treasury as his own purse, and to hold the law of the land dear. After a crushing defeat in Scotland against the rebels, Richard is looking even weaker—and the fact that he can’t even hold on to the Stone… Desperate, he turns to the one person he hates with a passion and who feels the same for him: Crispin. He orders him to use his celebrated sleuthing skills to find the Stone taken by Scottish rebels, and to make sure he doesn’t slack off, he holds Crispin’s young apprentice Jack Tucker hostage, threatening to deliver a traitor’s death to the boy if Crispin doesn’t find the Stone in three days’ time. Crispin has obviously fallen on hard times. He spends many hours in his local tavern the Boar’s Tusk drinking the hours away. Mostly he consumes wine because it gets him drunker than ale. But he would have enjoyed mead in his happier days on his estates in Sheen, just down the Thames from London. Mead is made of honey—a honey wine—and in the Middle Ages, it was a fermented drink used for celebrations. My husband is a homebrewer and I thought it would be fun if he made me some mead to inspire me while writing the Crispin books. I like mine slightly sweet with a strong honey flavor, with a bit of effervescence, but it can be made dryer with added fruit for different flavors. After experimenting he delivered me my mead. Sipping and writing and writing and sipping produced remarkable work and I was having a marvelous time. Until the next day when I read what I wrote the night before. Tipsy, I’m a genius. In the light of day, it was indecipherable. So now I reserve my mead drinking for more casual times, like launch parties. The recipe is more than just mixing a few ingredients. You’ll need time. Lots of time. To be wonderful, mead needs to age, but mercifully, not as long as wine does. My husband has won numerous awards for his mead including several Best of Shows. Here is a recipe to use at home. And now I know how to make mead! How cool is that. Thank you for this Jeri. Can't wait to pick up Silence of the Stones! I don't know which is more intriguing, the book description or the mead recipe. Ok, I do know - BOTH. Both are very dangerous. Thanks for hosting me, Deborah. I used to have a friend who made mead regularly and sadly it never came out how he had planned ;) But this recipe and the instructions look to be a winner here! My father has gotten into making alcohol. It truly is an art. I lack a lot of knowledge in the alcohol subject and have never heard of mead. Seems like a nice hobby to get into! Thanks for sharing. Never too late to learn, Homeby Jenn.